This is a tutorial of training PSPNet on ADE20K dataset using Gluon Vison. The readers should have basic knowledge of deep learning and should be familiar with Gluon API. New users may first go through A 60-minute Gluon Crash Course. You can Start Training Now or Dive into Deep. Feel free to skip the tutorial because the training script is self-complete and ready to launch. For more training command options, please run python train.py -h Please checkout the model_zoo for training commands of reproducing the pretrained model. Pyramid Scene Parsing Network (PSPNet) [Zhao17] exploit the capability of global context information by different-regionbased context aggregation through the pyramid pooling module. A Pyramid Pooling Module is built on top of FCN, which combines multiple scale features with different receptive field sizes. It pools the featuremaps into different sizes and then concatenating together after upsampling. For data augmentation, we follow the standard data augmentation routine to transform the input image and the ground truth label map synchronously. (Note that “nearest” mode upsample are applied to the label maps to avoid messing up the boundaries.) We first randomly scale the input image from 0.5 to 2.0 times, then rotate the image from -10 to 10 degrees, and crop the image with padding if needed. Finally a random Gaussian blurring is applied. 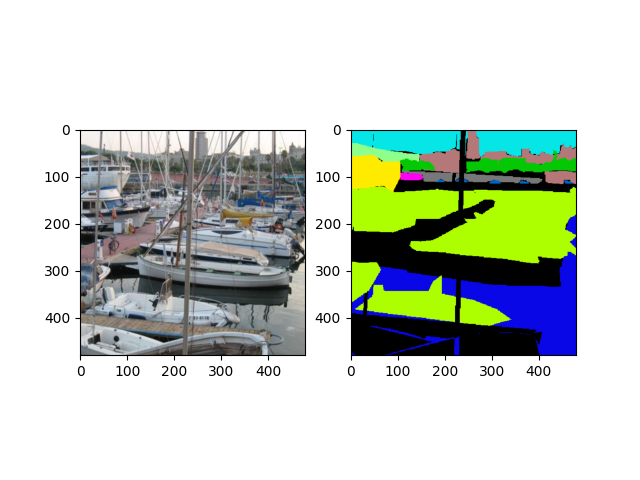 We apply a standard per-pixel Softmax Cross Entropy Loss to train PSPNet. Additionally, an Auxiliary Loss as in PSPNet [Zhao17] at Stage 3 can be enabled when training with command --aux. This will create an additional FCN “head” after Stage 3. You can Start Training Now. Long, Jonathan, Evan Shelhamer, and Trevor Darrell. “Fully convolutional networks for semantic segmentation.” Proceedings of the IEEE conference on computer vision and pattern recognition. 2015. Zhao, Hengshuang, Jianping Shi, Xiaojuan Qi, Xiaogang Wang, and Jiaya Jia. “Pyramid scene parsing network.” IEEE Conf. on Computer Vision and Pattern Recognition (CVPR). 2017.